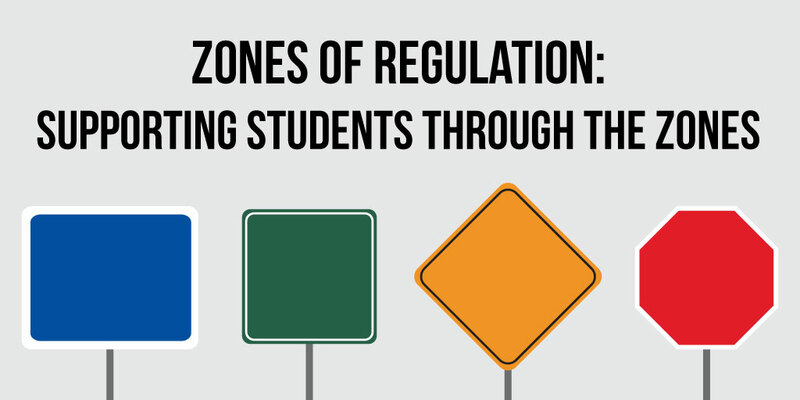 A wealth of research is coming out about the zones of regulation and how this idea can help students in our classrooms. The zones are a way to conceptualize and visualize the internal feelings that a student may be having at any particular moment. Ideally, our students will come to us calm and ready to learn, but if something happened that was stressful or emotional—whether at recess or before school—that may not be the case. These differing emotional states that a student can exhibit may make it challenging for them to focus on the learning at hand. Some of these emotional states could be sadness, depression, or even a withdrawn attitude. On the other end of the spectrum, students can experience frustration, anxiety, or high levels of stress. We assist students when we use the zones of regulation—visuals and color charts help students to identify the learning state they are in at that moment. Students might not be ready to learn and may need to change or adjust something in order to get refocused and in the correct learning state. The visuals help them to identify the emotion and describe how they feel at that moment. We hope that this knowledge helps them to adjust their zone and become ready to learn. But how does a kid do that? If a student recognizes internally that they are frustrated, there isn't a magic switch they can flip to immediately calm down. We must equip students with tools that allow for them to alter their emotional state in order to change their zone. Take a Break: Taking a break is one of the simplest strategies that we can implement. Some students cycle through frustration when they get “stuck” in a certain mode of thinking or behavior. Teachers should help students to break that cycle—to “interrupt” it, so to speak. In order to interrupt the cycle, something must change within the environment or the student must join a new environment. Taking a break can happen in a separate location either within the classroom or outside the classroom. Teachers can implement something like a trip to another classroom, taking a note to the office, or going to get a drink. These strategies interrupt the student’s thought process to give them a break—and hopefully time to breathe. Take a Breath: The next strategy is simply breathing. Research tells us that one of the reasons we get into a frustrated or anxious state is because we fear something. When adrenaline kicks into “fight or flight” mode, our executive functioning resources don't work the way they normally do. In order to get oxygen to the brain so that we can think clearly, we must breathe deeply. There is science behind this and it isn't just a meditative principle. Deep breaths allow our body to calm, our brain to think, and our pulse rate to slow. All of this is needed in order for us to move through the zones from a high anxiety state to a moderate or low anxiety state. This can be tried as a whole class so that when individual students need it, they have already practiced the skills. Do Some Work: Some students with consistently high levels of anxiety might require a sensory need to be met in order to make progress in the classroom. These needs can come from all sorts of different conditions, including sensory processing disorder and autism. Even if a student is not diagnosed with these, sometimes the same principles and strategies are effective in changing the zone that the student is currently in. Students might benefit from heavy work or some sort of physical exertion that releases some of the stress attention in their body. We want to be careful that this doesn't become a form of punitive punishment for the student. For example, we don’t want teachers to say, “You're frustrated, do 50 push-ups.” This could be conveyed as corporal punishment, even though it may meet the student's need. It works better in this situation to use some practiced routines or offer a selection from a menu of choices for a student to do something that will help exert them. Get Moving: Another thing to keep in mind is that not all students need calm—some students need the opposite. These students may be detached, lethargic, or tired. For these students, we don't want to slow them down with deep breathing or by taking a break. We want to do the opposite and speed them up to get their blood pumping. The physical exertion tasks mentioned above can be helpful for these students as well, but sometimes they are unmotivated and unwilling to even partake in these activities. We can speed a student up by getting them up and moving in the classroom, connecting them with a positive adult, and affirming them constantly. As we help students to navigate their own emotions and behaviors, we can use these strategies to assist them to move to the learning state that they need. Looking for more insightful teaching tips? 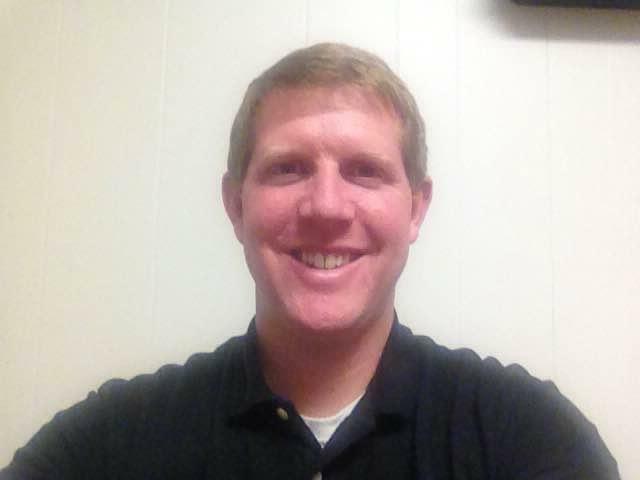 Be sure to subscribe to the Educator blog today!